Nigeria have been drawn in Group D at Russia 2018, alongside Argentina, Croatia and Iceland. Gernot Rohr's side will face Poland on 23 March and Serbia four days later, before the home fixture against DR Congo in Abuja on 28 May. World Cup-bound England will be Nigeria's opponents on 2 June at Wembley ahead of the final warm-up fixture against Czech Republic on 6 June. Jairo Pachon of Eurodata Sport, Nigeria Football Federation (NFF)'s official match agent, said much planning had gone into the fixtures. "We've worked closely with the coach and the great support of the NFF to finalise these games," Pachon told BBC Sport. "Coach (Rohr) stressed the importance of playing teams with a similar style to their World Cup opposition and we've got two going to Russia from eastern Europe. "The game against DR Congo in May will afford the fans, media and everyone the opportunity to see the Super Eagles play before they fly out to Europe to conclude preparations," Pachon added. Nigeria have chosen the eastern European oppositions Poland, Serbia and Czech Republic with the hope that they will provide ideal preparation for their opening Group D game against Croatia in Russia on 16 June. "The opening game is the most important match and we hope to prepare for it - against opponents similar to Croatia," Rohr had confirmed to the BBC. Nigeria will then face Iceland on 22 June before finishing with Argentina four days later. 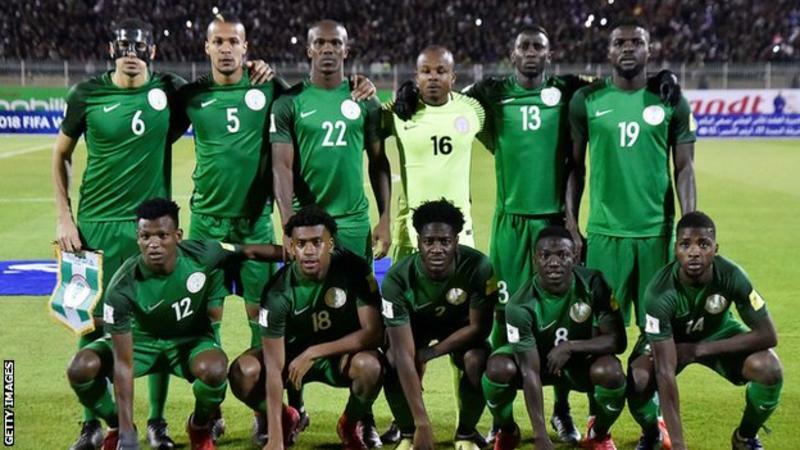 The Super Eagles will be making a sixth appearance at the World Cup tournament in Russia. They reached the round of 16 in 1994, 1998 and 2014 but exit the 2002 and 2010 tournaments in the group stages.